Donald graduated from Bernard M. Baruch College of the City University of New York in 1974 with a Bachelors of Business Administration (B.B.A.). He became a Certified Public Accountant (C.P.A.) in 1979. After working for a number of public accounting firms and becoming a partner at Gersten, Slater, and Perl Certified Public Accountants P.C., in 1988 he co-founded Perl & Asch Certified Public Accountants P.C. Donald works closely with his clients, advising them on tax, financial and business related matters. He is a member of the New York State Society of Certified Public Accountants and the American Institute of Certified Public Accountants. His firm is a registered member of the Public Company Accounting Oversight Board. Donald is married with two children and lives in New Rochelle, New York. 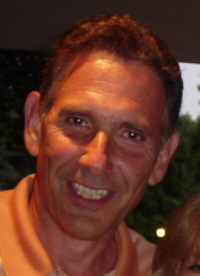 He is an avid golfer, a member of the Executive Board and the Board of Governors, and serves as Treasurer for the Hampshire Country Club, Mamaroneck, New York.